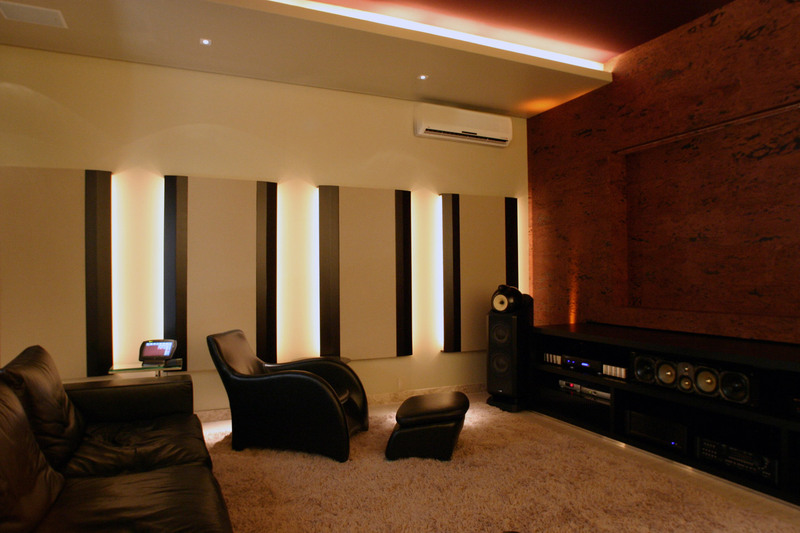 Recently completed, the new house of Albano and his family located in the city of Montes Claros includes now a dedicated home theater, employing state of the art audio/video technology with professional audio room acoustics. WSDG has worked with it’s A/V partner “Versão Brasileira” to provide the best gravity available for this type of environment. 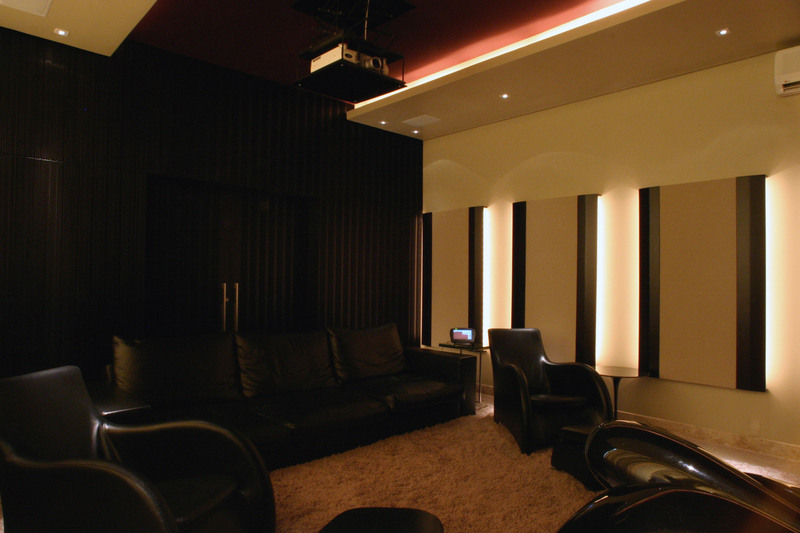 The theater was created in a dedicated room in an adjacent building of the house, sharing the space with the owners private office. 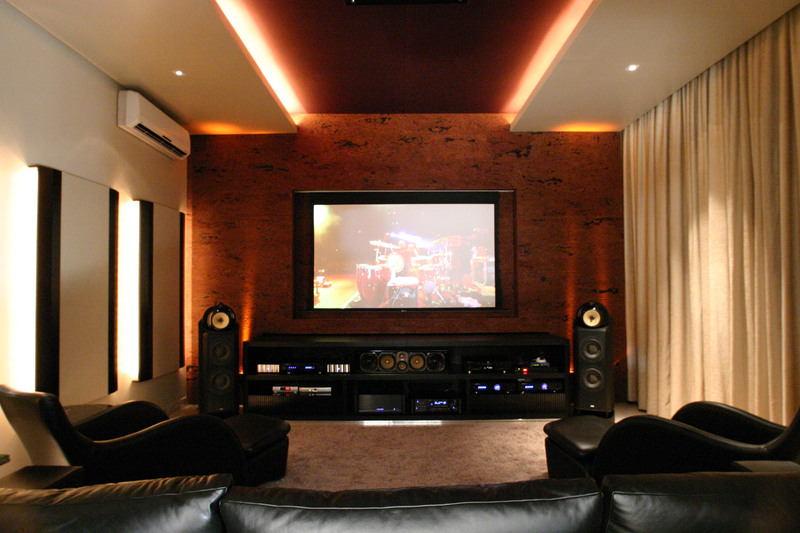 The space accommodates up to 6 people and incorporates the latest in video projection and surround sound audio connected to a full automation system ran by a Creston controller. All the acoustical elements were carefully chosen to satisfy not only the technical requirements but also to create a link between the theater and the existing house. The acoustical symmetry of the room was achieved by the installation of absorption panels on the left wall, to mirror the curtain installed on the right wall, covering a large window area. Low frequency absorption was achieved by a large Helmholtz resonator made of spaced difusors in the back wall as well as by the membrane resonator at the front wall, covered with a brown cork finish.